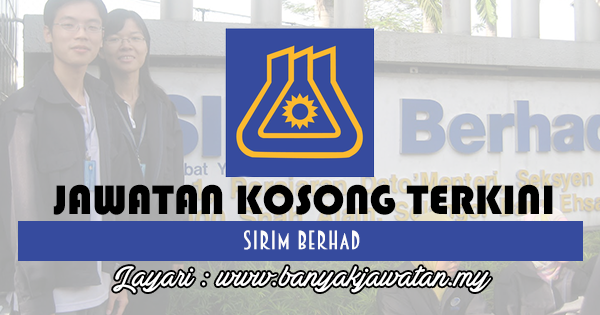 SIRIM is a premier industrial research and technology organisation in Malaysia, wholly-owned by the Ministry of Finance Incorporated. With over forty years of experience and expertise, SIRIM is mandated as the machinery for research and technology development, and the national champion of quality. SIRIM has always played a major role in the development of the country's private sector. With its unique advantages in research and technology innovation, industry standards and quality, SIRIM offers specialised solutions to serve the needs of all industry sectors, making it the ideal technology partner for SMEs. By tapping into our expertise and knowledge base, we focus on developing new technologies and improvements in the manufacturing, technology and services sectors to enable businesses and enhance lives. 0 Response to "Jawatan Kosong di SIRIM Berhad - 6 Oktober 2017"